WWE’s Crown Jewel event is on Friday and the WWE Superstars who didn’t have to work Tuesday for SmackDown set off early to KSA for the big show. Plenty of huge names in WWE have already arrived at the event for what promises to be a loaded show for a controversial government. Shawn Michaels, Seth Rollins, Baron Corbin, The Big Show, Kurt Angle, and more have already landed in Riyadh for the Crown Jewel event and as you can see by the expressions on their faces… they’re certainly present. You can check out some pictures below of some of your favorite WWE Superstars preparing to entertain the Saudi Arabian crowds. The event that was once considered in serious jeopardy is happening anyway, let’s just hope it goes well. The WWE Crown Jewel show will air this Friday at noon on the WWE Network. 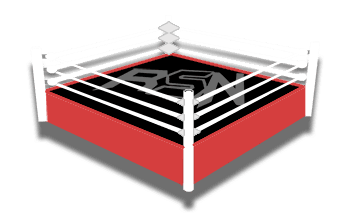 If you can’t watch the show live or decide to not view it, you can always check back to Ringside News because we’ll keep you up to date on the event as it goes down.